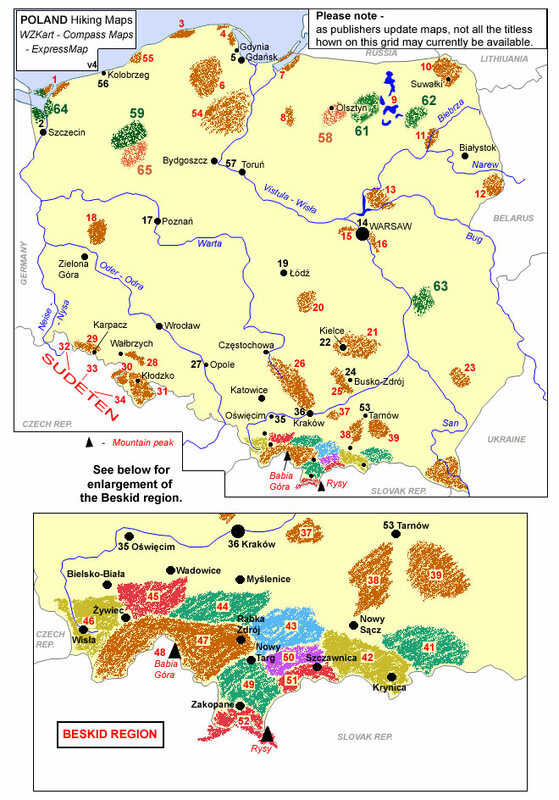 Klodzko and Environs (Ziemia Klodzka) at 1:50,000 in a series of recreational maps from Poland’s Army Cartographic Service. 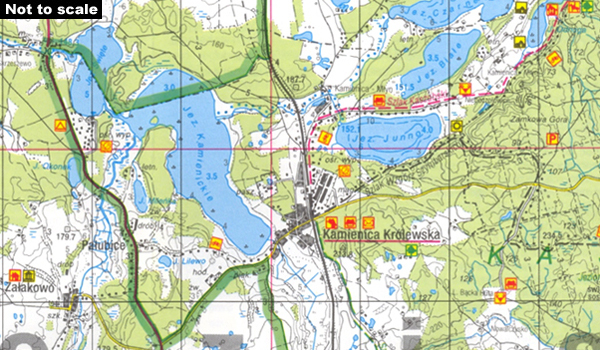 The maps use as their base the military topographic survey, with contours at intervals varying from 5m to 20m according to the terrain and contoured depths shown on lakes. An overprint highlights waymarked hiking, cycling and canoeing routes. A wide range of symbols indicate various sport and recreational facilities, places of interest, special natural features, etc. The maps have latitude and longitude grid at 1’ intervals. Map legend includes English. On the reverse there are useful addresses and description, in Polish only.